Collectively and individually, Humanity has and always will strive to understand their existence in a world that often eludes them. While we have solved many mysteries of the universe, there is still so much we don’t know about the cosmos, or the depths of the sea, and even our own brains. 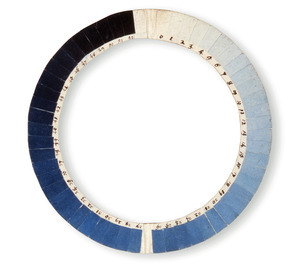 In 1789 Horace Benedicte De Saussure, a Swiss botanist, created the Cyanometer: a tool for measuring the ‘blueness’ of the sky. Using this moment of invention as a jumping off point, Lindsay Tunkl will explore humanity’s attempts to answer unanswerable questions. Through a month long installation and a one night presention, Tunkl invites the viewer to explore greater constructs such as time, art’s attempts at making sense of our existence, and metaphysical inquiries such as connecting with the dead in an interrogation of humanity’s many attempts to quantify unquantifiable. 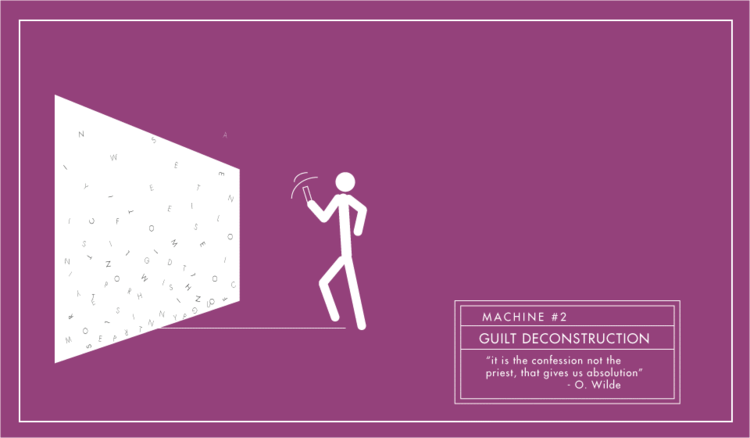 Machines for Absurd Living: interactive tools to prompt existential examination. By guiding the audience on a journey through essential and consequential concepts—time, detachment, the self and the sublime— these situational exercises address individual dissonance over the absurdity of inherent meaning through simple interactions that prompt existential rumination. Machine #1 / Life while-you-wait considers the most relentless of human struggles: our temporality in the physical world. Using statistical calculations, the machine determines how many hours one has left to live, prompting us to consider time as a currency to be well spent. Machine #2 / Guilt Deconstruction confronts the participant with a confession exercise: Using personal smart devices, the participant types out feelings of guilt, repressed desires, ill thoughts or wrong actions, and releases them— through encrypted technology—with a cathartic physical gesture onto a wall projection. "Healthy remorse" is then deconstructed to the essence of language: letters, fall in a random shower, piling collective layers of guilt and contradiction. Collectively and through this exercise, this ‘action’ opens a realization of the futility of ill conscience, offering a modern approach to absolution that provides the user with a way of resolving ill feelings into a healthier, conscious state. 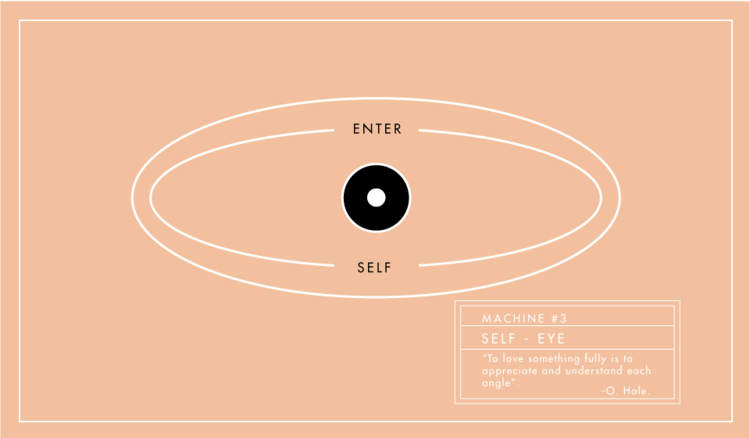 Machine #3 / The Self - Eye addresses the question of the self. A performance of self-awareness presents the beholder with a reflection of his/her own organic tool for ocular imagery: the iris. The self-examination room for such an exploration is as equally intimate: the bathroom. 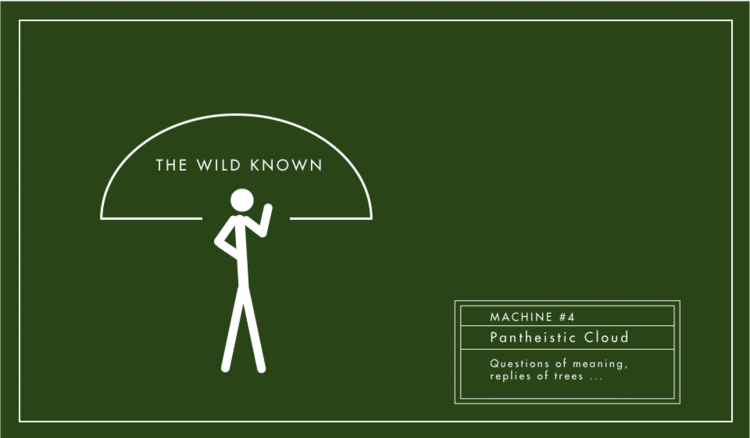 Machine #4 / Pantheistic Cloud, Questions of Meaning and Replies of Trees offers an opportunity to meditate on one's dissonance with our absurd human existence and the reduction of such feelings by a restorative communion with nature. Once you have entered the self, what else is there to do but to become one with everything? The exhibit has been designed by the artist collective The Absurdist, lead by Manuelita Antonio and Johannes Seemann with collaboration and expert advice from Johannes Ma, Nick Forland & Waham. The collective was founded in 2014, driven by the need to find an outlet for philosophical inquiries of existential, absurd and situational nature. Inspired by their guiding stars Albert Camus, Guy Debord and Baruch Spinoza, they set out to create conceptual art pieces that address old and new existential needs in experiential ways. This exhibit has been commissioned and curated by StorefrontLab.